Maybe a cupcake will help . Call in Advance for Specific Flavors or Visit our Store to Try the Flavors we have Available! If you want scrumptious cupcakes that'll make your mouth water long after you've tasted them, come to Smallcakes Tyler in Tyler, TX. We are excited to be able to provide the area with delicious sweet treats that please everyone. 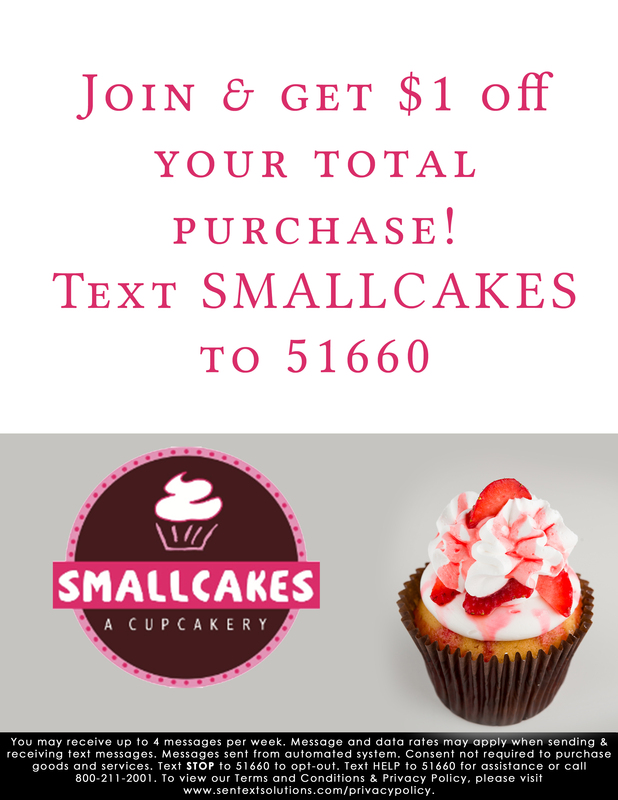 When we first opened Smallcakes Tyler, our goal was to make the best cupcakes in the area and brighten the days of everyone in Tyler, TX. We pride ourselves on our delicious desserts. Smallcakes Tyler knows how to bake exquisite cakes for you to enjoy. Cupcakes are more than 200 years old. The largest cupcake in the world weighed one ton and held 600 pounds of frosting. The world record for the most cupcakes eaten is 29 in 30 seconds. Cupcakes are so named because the ingredients were measure in cups. December 15 is considered National Cupcake Day. 13 percent of couples getting married serve cupcakes at the wedding reception. The difference between a cupcake and a muffin is the frosting on top. Also, cupcakes are typically lighter than muffins for a delicious treat. Instead of having yet another cake at your next function, try something new and order our delightful confections. Smallcakes Tyler has a variety of cupcakes you can walk in and enjoy on any occasion. In addition to the cupcakes we sell daily, we can also create delicacies for catered events such as cupcake parties or decorating parties. You can also order our cupcakes today and pick them up tomorrow. When you're ready to have scrumdiddlyumptious confections at your next cupcake party or catered event, call Smallcakes Tyler in Tyler, TX, at 903-561-8988. Come and enjoy our delicious tiny cakes! Copyright © 2019 Smallcakes Tyler, all rights reserved.